For a couple of months, there's been haggling inside Comedy Central about precisely when Jon Stewart will depart "The Daily Show." Now we know the answer: August 6. Stewart revealed the date on air on Monday night. Trevor Noah will take over sometime in the fall; the specific date has not been announced. 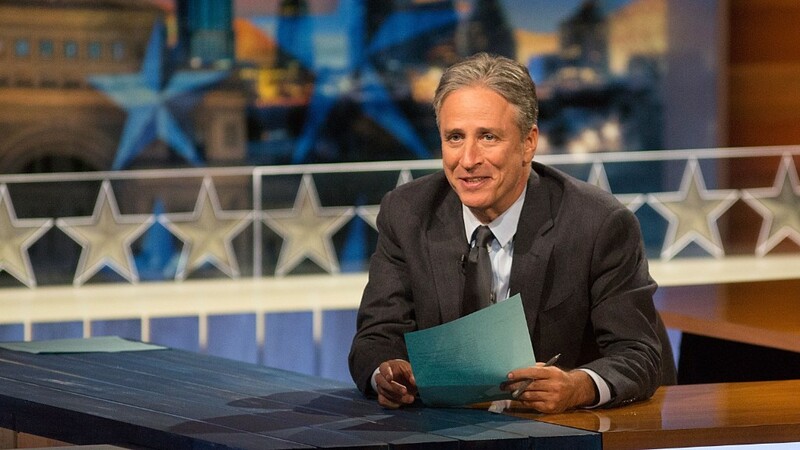 There's been ample speculation about the transition plan since "The Daily Show" is a one-of-a-kind program. Some executives at Comedy Central wanted the handoff to happen later in the year -- as late as November, according to people with knowledge of the internal discussions. Stewart wanted to sign off sooner -- closer to July. His contract expires in September, so the August 6 date means that he's leaving a little early. On the air, Stewart has hinted at his restlessness. Off the air, he's been more blunt about it. In a recent interview with The Guardian newspaper, he said, "It's not like I thought the show wasn't working any more, or that I didn't know how to do it. It was more, 'Yup, it's working. But I'm not getting the same satisfaction.'" He also said he wants to be home with his children more often. By signing off before the presidential election begins in earnest -- the first Republican primary season debate is scheduled for August -- Stewart is leaving Noah with plenty of material. "For the show, you don't want to leave when the cupboard's bare," he told The Guardian. "So I think it's a better introduction when you have something providing you with assisted fuel, like a presidential campaign." On Monday night's broadcast, Stewart touted a contest that will raffle off two tickets to his finale. The contest will benefit New York Collaborates for Autism and the Night of Too Many Stars. "It's going to be a pretty good episode I think," the understated Stewart said. Afterward, the show "will go on hiatus for the remainder of the summer," a Comedy Central spokesman said. It will "re-launch in the fall with Trevor Noah as host." The spokesman said the premiere date will be announced later. There will be other big late-night moves around the same time: former Comedy Central star Stephen Colbert will start hosting "The Late Show" on CBS on September 8. Comedy Central might want some distance between that premiere and Noah's premiere. Staffers at "The Daily Show" have been reassured that Comedy Central isn't planning on blowing up the show and starting over from scratch. While there may be some staffing changes -- some producers have already put out feelers for other jobs -- the channel is not anticipating any wide-scale turnover. It helps that Noah already knows the "Daily Show" team a bit, since he has appeared on the show three times in recent months.